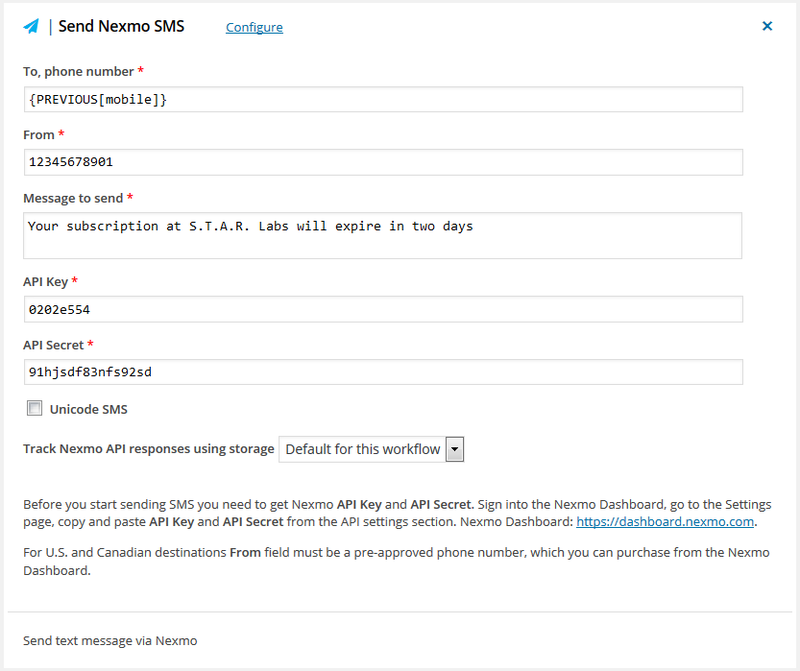 Before you start sending SMS you need to get Nexmo API Key and API Secret. Sign into the Nexmo Dashboard (https://dashboard.nexmo.com), go to the Settings page, copy and paste API Key and API Secret from the API settings section. Note: For U.S. and Canadian destinations From field must be a pre-approved phone number, which you can purchase from the Nexmo Dashboard.